Discovery Advisors (DAs) are motivated, creative, and academically successful students whose primary responsibility is mentoring students to achieve academic success. Our DAs are internationally certified by the College Reading and Learning Association (CRLA) as advanced peer mentors. These student work in close contact with several offices on campus including each of the five schools’ undergraduate advising offices and Division of Student Affairs offices such as the International Student Scholar Services and Services for Students with Disabilities. DAs are part of the Student Success Network available through myBinghamton and they are certified as advanced peer mentors by the College Reading and Learning Association. Discovery Advisors help students develop effective strategies in such areas as: study skills, time management, and note-taking. DAs assist students in making informed choices about courses and class schedules. They encourage students to explore and utilize the services and resources of the Fleishman Center for Career and Professional Development early in their academic careers. Discovery Advisors also promote learning experientially outside the classroom by relaying information on internships, study abroad, the National Student Exchange (NSE) and volunteer opportunities. DAs hold evening office hours (Monday through Thursday, 5-7 p.m. in all four residential-based Discovery Centers. Hi, my name is Andrew Shaw and I am a graduate Discovery Advisor. I was an undergraduate Mechanical Engineering Major and am now a graduate MBA student. I worked as a Discovery Advisor for 2 years and have been a tutor for 3 years. Feel free to reach out to me with any questions or concerns you may have. Hi everyone! My name is Drew. I am a graduate academic success coach for the Discovery program. I am currently a graduate student studying for my Masters of Science in Accounting. I plan on pursuing a career in public accounting and one day receiving a C.P.A license. I am a member of Alpha Kappa Psi Professional Business Fraternity. I am also the President for a non-for-profit on campus called Lazarus Rising. This is my third year with the Discovery program so I am well versed in the different academic resources offered by Binghamton University. I'm excited to start helping students achieve academic success here at Binghamton! Feel free to contact me if you have any questions! Hello everyone! My name is Amy. I am a graduate academic success coach for the Discovery program. I am currently a graduate student majoring in Accounting with a concentration in Taxation. Following graduation, I will be starting a position at Ernst & Young. Additionally, I am a member of Alpha Kappa Psi Professional Business Fraternity and an Orientation Advisor. I love getting out of my comfort zone and influence people with my passion. I'm really excited to be able to help students achieve academic success here at Binghamton! Please contact me if you have any questions! Hi everyone! My name is Adam Rafael, and I'm a Grad DA. I was an undergrad DA for 2 years before becoming a Grad DA. I am getting my Master's in Accounting with a concentration in taxation, and undergraduate I was an Accounting and Finance major. Let me now if you have any questions! My name is Alaina Iannella and I am a second-year Discovery Advisor. I also serve as the board member for SSP! I am currently a senior majoring in Neuroscience looking to pursue a career as a physicians assistant. 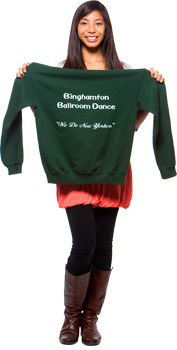 I am a member of the Binghamton Equestrian Team and Delta Phi Epsilon Sorority. As a DA, I mainly work with the Binghamton Advantage Program students to help assist them throughout the program and their transition into Binghamton University. I look forward to working with students this year and introducing them to the opportunities Binghamton has to offer! Hi everyone! My name is Nicole Cipriano and this is my second year as a Discovery Advisor! I am currently a senior on a pre-law track majoring in Philosophy, Politics, and Law and planning to attend law school in 2019. I am also pursuing a major in Italian as well as a minor in history. Outside of Discovery, I am the President of Delta Phi Epsilon sorority. I look forward to working with students this year and showing them all the opportunities that Binghamton has to offer! Please feel free to reach out to me anytime if you have any questions! Hi, I'm Danny and I am a senior majoring in Electrical Engineering. I am currently a member of the Ultimate Frisbee team and love being active.. As a Discovery Advisor, I mainly work with the Watson School students to assist them with important school resources and more throughout their college career. I am also a part of the Supplemental Instruction for Physics 121. I look forward to working with students this year and introducing them to the opportunities Binghamton has to offer! Please feel free to reach out to me if you have any questions! regarding your success here at Binghamton. Hi! My name is Jeremy, and I am a second year DA from Rockland County, New York. In addition to my involvement as a Discovery Advisor I am also heavily involved in the PwC Scholars Program, Alpha Kappa Psi Professional Business Fraternity, DECA, as well as intramural sports. I look forward to helping our students with any questions or concerns they have. Please feel free to reach out anytime! Hi, I'm Francesca Rozencvit and I am a senior majoring in Management Information Systems and minoring in Economics. I am a member of Alpha Kappa Psi Professional Business Fraternity. As a discovery advisor, I work with the residential communities and with the intern program. Additionally, I help run the discovery website. As an intra-university transfer from Harpur to the School of Management, I am excited to advise students on IUT's and other requests! Please feel free to reach out to me if you have any questions. Hi everyone! My name is Linda Sabbagh and I'm a first year Discovery Advisor. I'm from Brooklyn and am currently studying Management Information Systems and Business Analytics in SOM with a minor in Global Studies. Outside of being a DA, I am a member of Alpha Kappa Psi Business Fraternity. I also be work as an advisor in the School of Management advising office. I'm excited to be a DA and help out as many people as I can! Please reach out if you have any questions or just want to talk! Hello! My name is Tharini Gara, I am currently a second year DA and completed the Discovery internship my sophomore year. I am on the Pre Health track and eventually want to be a Pediatrician. I am very eager to help others with their journeys at Binghamton University, if you have any questions don't hesitate to email me! I am a Senior, Biochemistry major and Health and Wellness Studies minor, in Harpur College. I am also on the pre-health track. As a Discovery Advisor, I help students find important resources on campus as well as plan for their college careers. I have previously served as the Supplemental Instruction leader for Bio 117 and currently serving as the Supplemental Instruction leader for Physics 121. Please email me to make an appointment or with any questions you may have! Hi guys! My name is Lexie and I am currently a junior in the School of Management. I am planning on graduating with concentrations in Management Information Systems and Business Analytics. I am extremely involved on campus! Outside of being a DA, I am currently a tour guide, a UTS Student Laboratory Management in the College in the Woods Library, a Public Speaking Lab Consultant, Vice President of the Student Culinary Association Tastebuds as well as the Vice President of Internal and External Affairs for the Association of Latino Professionals for America. I love taking on new challenges and learning from every opportunity presented to me! I love helping and getting to know people and am excited for my first year as a DA! Feel free to contact me with any questions you might have. Hey everyone! My name is Danielle Horner and I'm a first-year Discovery Advisor. I'm currently a junior on the pre-health track majoring in biology with a minor in Italian. I hope to become a physical therapist. Outside of Discovery, I'm the Events Coordinator for the Student Ambassador Program for Undergraduate Admissions. I'm excited to help students on their journey, so feel free to email me about any questions! Hi everyone! My name is Isha Kumar and I am a first year Discovery Advisor. I am currently a Junior on a pre-law track double majoring in Politics, Philosophy and Law (PPL), and Economics. Outside of being a Discovery Advisor I am also a Tour Guide, a member of the Kickline Team, and a member of Kappa Kappa Gamma Sorority. 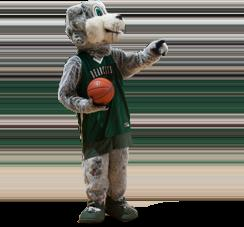 I am very excited to have the opportunity to help students through their journey of Binghamton University. If you have any questions or need any type of advice or assistance please feel free to contact me and I would love to help you out in any way possible! Hi everyone! My name is Alec Kranyak and I am from Rockland County. I am a first year Discovery Advisor and I am a Junior majoring in Philosophy, Politics and Law pursuing the fast track MBA program. Besides from being involved in the Discovery Program, I am also a Tour Guide, a Student Assistant in the Harpur Edge Office, and a brother of Alpha Kappa Psi Professional Business Fraternity. I am so excited to get started as a Discovery Advisor and feel free to reach out to me for any questions you might have! Hello, my name is Deborah Siegel and I am excited to be serving as a first year Discovery Advisor. I am currently a junior majoring in Human Development with minors in Spanish and Education. Outside of Discovery, I serve as the Philanthropy and Community Service chair for Binghamton's Panhellenic Council and a volunteer Student Ambassador. Additionally, I am a member of the Education Minor Steering Committee, where I coordinate all social media and public outreach for the minor. I am looking forward to serving as a DA so I can help students adjust to life at Binghamton. Please do not hesitate to reach out to me if you should have any questions! Hi everyone! My name is Meghan Walia and I am a first year Discovery Advisor. I was a spring-admit to Binghamton University and am currently a junior majoring in Accounting with a concentration in Management Information Systems. In addition to being a Discovery Advisor, I am a member of Alpha Kappa Psi Professional Business Fraternity, the public relations chair of the Binghamton Bhangra dance team, and the secretary of the Hindu Student Council. I look forward to getting to know other students and helping them achieve their academic success. Please feel free to reach out if you have any questions, concerns, or just need someone to talk to! Hey, Guys! My name is Cindy and I am currently a junior in the School of Management, studying Accounting and Management Information System. I am a very active student on campus. Besides being a Discovery Advisor, I am also the President of International Language Association. And I also work in the International Student & Scholar Services office. I love getting out of my comfort zone, trying new things and making new friends. I am very excited for being Discovery Advisor to help you guys adapt college life and achieve your academic goal. Please feel free to make an appointment with me if you have any questions or concerns. Hello Everyone! My name is Sophie and this is my first year as a Discovery Advisor. I am currently a senior majoring in Accounting with a concentration in Management Information Systems. In addition to that, I am also an e-board member of ChinaScope, which is one of the Chinese Cultural student organizations campus. I am really passionate about helping people as well as making new friends, so don't be hesitate to reach out to me if you have any questions or concerns in college! Hello! My name is Heather Cazes and I am a first-year Discovery Advisor. I am currently a junior majoring in Integrative Neuroscience and minoring in Visual Arts. I am also a Supplemental Instruction leader for Bio 114. I would be happy to help advise students so that they can be successful in all of their academic endeavors. If you have any questions feel free to email me! Hi, my name is Jason and I am currently a junior majoring in Accounting with a concentration in Finance and Management Information Systems. As a Discovery Advisory I work to help students find important resources on campus in additional to answering any questions they may have about their future. Outside of Discovery, I am a member of Alpha Kappa Psi, a co-ed professional business fraternity. I hope that I can help students as much as possible, and look forward to a wonderful school year. Feel free to contact me or schedule an appointment if you have any questions! Hello everyone! My name is Heath Larssan and I am currently a Junior and a first semester DA. I'm from Long Island and am currently studying Business Administration with a concentration in Management Information Systems. Outside of Discovery, I am also a member of Alpha Kappa Psi Business Fraternity, and I also work in The School of Management's Undergraduate Advising office. I am excited to help other students who have the same experiences as me, and feel free to reach out to me should you have any questions. Hi everyone! My name is Terrance and this will be my first year being a Discovery Advisor. I am currently a senior majoring in Business Administration with a concentration in Finance and Management Information Systems. Aside from being a DA, I am also a teacher's assistant for MIS 311 and a member of Alpha Kappa Psi Professional Business Fraternity. I love meeting new people and more importantly, I love helping everyone that I can. Please feel free to reach out to me if you need any help or if you just need a friend to talk to!